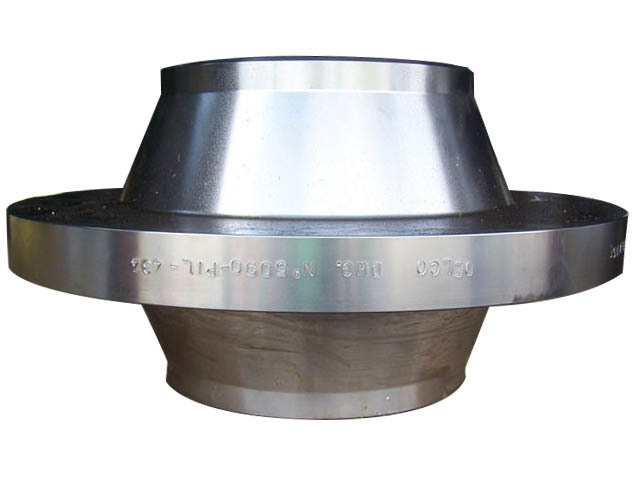 Anchor flanges are important elements in many thrust-control systems, especially those protecting pipeline pumping stations. Welded into the line and encased in concrete, they immobilize the pipe at predetermined locations and transfer built-up stresses to external structures. It looks like a weld neck flange but has two hubs on both sides to weld with the pipes, but there are no bolt bores on the anchor flanges.